I hope you like peanuts because today we have a whole lotta peanuts going on! 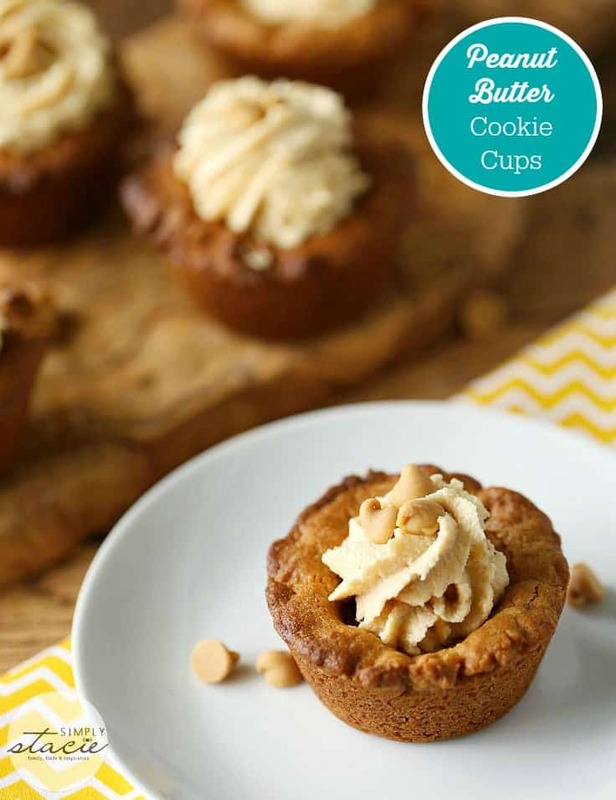 My latest cookie cup creation are these sweet delights: Peanut Butter Cookie Cups. 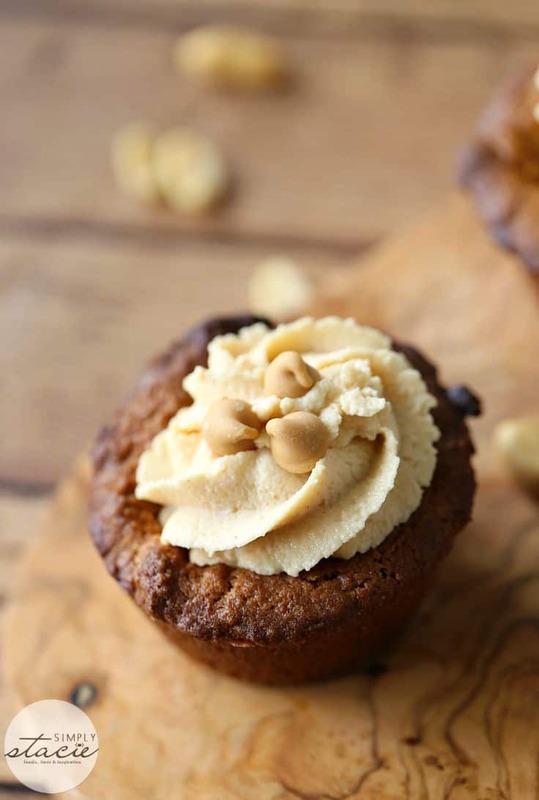 The cup is a moist and chewy peanut butter cookie. I melted some Reese peanut butter chips at the bottom of each cup to take this dessert to a whole new level. And does it ever soar! The filling is creamy and sweet made with a combination of cream cheese, smooth peanut butter and icing sugar (otherwise known as powdered sugar). I finished it off with a couple Reese peanut butter chips on top. You could also be bold and put peanuts, if you wish. How daring of you! This batch did not last long. No one could resist, myself included! Are you a peanut fan? 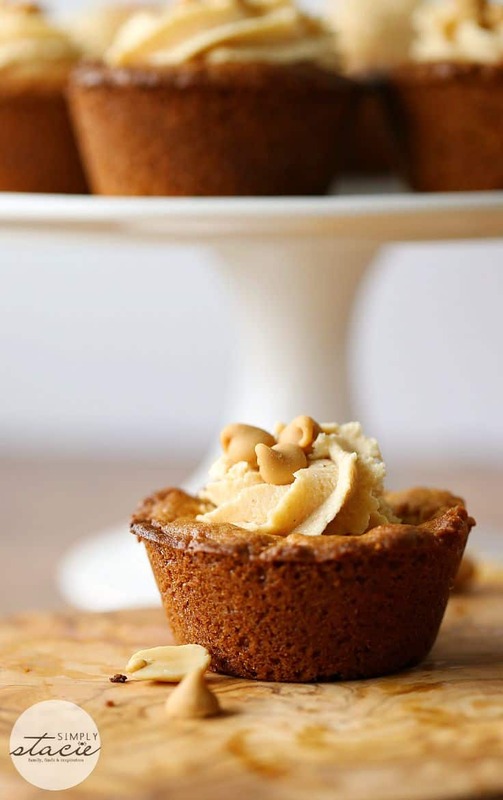 Divine Peanut Butter Cookie Cup recipe that will send you over the edge with peanutty goodness! Preheat oven according to directions on cookie package. Prepare cookie dough according to recipe or package directions. Press cookie dough into a greased muffin tin to form a cup. Bake for 7 minutes. Again, remove from oven and with a small spoon, deflate the centers of the cups while leaving the sides of the cookie cup untouched. 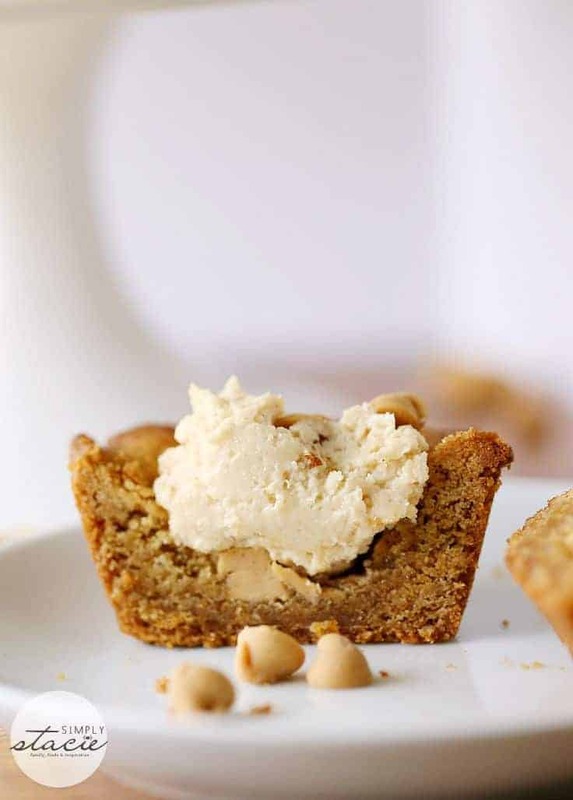 Add a four to five Reese peanut butter chips to each cookie cup. 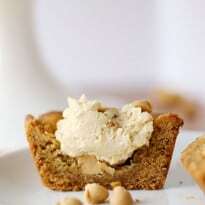 In a mixing bowl, whip cream cheese, icing sugar and peanut butter together until light and fluffy. Place cream cheese mixture into a piping bag and pipe the mixture into the cooled cookie cups with a decorative tip. Top with remaining Reese peanut butter chips. Thank you for the recipe! These would go great for Thanksgiving dessert. This recipe sounds great thanks for sharing! I am definitely going to try these! YUM! I really love this easy recipe and it looks so delicious and so pretty. What a nice recipe to make for my Christmas Cookie exchange party. I have to make these! These sound soo good! And I love peanut butter chips, and this is winning combo of ingredients! These look so tasty! Love how there are only a few ingredients too. Anything with peanut butter is good! I love peanuts, non salted and preferably unroasted, never mixed in chocolate nor anything else since that alters the taste, however I do not like peanut butter which is a real shame as these look delicious. shhh can’t talk – speechless. Wiping drool off keyboard. These sound very good, a nice change from the peanut butter cookie, a nice treat to go with a nice hot cup of coffee!! Popping over from Claire’s. These look delicious! Wow! These look amazing! My husband would love the Reese’s Peanut Butter Cup in there! This sounds extremely delicious. We are BIG peanut butter fans at my house. Thanks so much for sharing on Wonderful Wednesday blog hop. Hi Stacie! Oh my goodness. 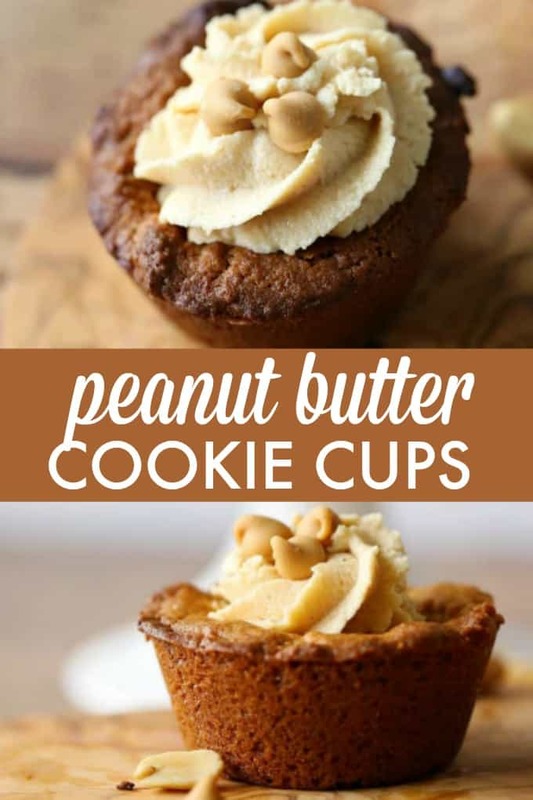 Peanut butter anything is my absolute favourite and these look absolutely gorgeous. Thank you so much for linking up to Thriving on Thursdays. I’m featuring this one at tomorrow’s party. Great to see you each week. Have a great Christmas. These look divine!! I really enjoy peanut! I need to make some of these! Thank you for sharing.